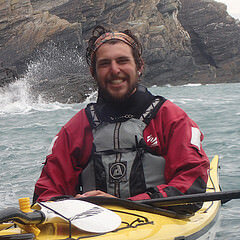 Phil is the owner of Sea Kayaking Anglesey. 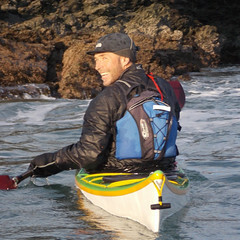 He has lived and coached sea kayaking on Anglesey for the last ten years. He is a skilled paddler, and his abilities in a boat are matched by his ability to teach others effectively with his fun and friendly manner. Phil regularly attends symposiums, events and expeditions around the UK and abroad but believes Anglesey to be the best place in the world to coach sea kayaking. With his in depth knowledge of the local areas he is always keen to select a trip that will best suit your wants and needs, and with a degree in Zoology he knows a bit about the local wildlife too. Phil's expeditions have taken him from the Greenland in the Arctic to the Madagascar on the Equator and most notably a record breaking circumnavigation of Great Britain in 80 days. 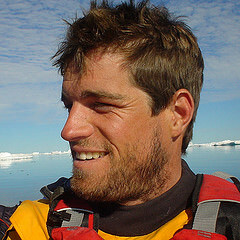 He is a BCU Level Five Coach and a Sea Kayaking UK, Celtic Paddles and Palm sponsored paddler. Stuart started paddling at the age of 15, doing it all from sea kayaking, white water, canoeing and wave ski, but it was when he chose to study Outdoor Education that he began to consider it as a full time career. In May 2012, Stuart, along with a friend and his brother, set off from their hometown of Newbiggin-by-the-Sea in their sea kayaks. They turned left and kept going until they returned back 2,500 miles and 96 days later. Stuart is the youngest sea kayaker to have circumnavigated Great Britain and part of the only team to have done it anti clockwise. He is a BCU Five Star Sea Kayak Leader, a BCU | UKCC Level Two Coach and aCeltic Paddles and Sea Kayaking UK sponsored paddler. Barry paddled around Great Britain with Phil Clegg and Harry Whelan, completing the 2,200 mile journey in a record breaking 80 days. He's also completed the 2400km circumnavigation of the South Island of New Zealand. He's really into his open crossings having paddled across the Irish Sea between Wales, Ireland and the Isle of Man 9 times. Barry works enough to pay the bills and spends as much time as possible paddling, usually going out 4 or 5 times a week. He often works as a carpenter when he's not teaching sea kayaking on Anglesey as well as at UK and international symposiums. A very friendly chap, Barry love sea kayaking and after a day of teaching it, he likes to spend the evening paddling in the Anglesey tidal races to make sure he keeps “an edge” to his personal paddling.